London driving can be extremely stressful, even for the experienced driver. For the non-driver or novice, it can seem positively terrifying. The sheer volume of traffic is bad enough, but ever-changing one way systems and road priorities make it the stuff of nightmares. However, none of these things have to stop you from learning to drive, and even eventually enjoying the challenge of negotiating some of the toughest roads in Europe! Finding the right driving instructor to give you that confidence has never been easier; with many London driving schools offering taster lessons from as little as £10, finding the right instructor to give you the skills you need has never been more risk-free. Driving lessons don’t have to be spread out over many months, either. If you need to learn to drive in a hurry, many driving schools offer intensive courses over a period of a couple of weeks, with a pre-booked test at the end of it. These can also be very useful for the nervous driver; after all, there’s nothing like familiarity with a task to remove any fears associated with it. Even relatively experienced drivers can benefit from refresher lessons once they’ve passed their test if they find that nerves are getting in the way. 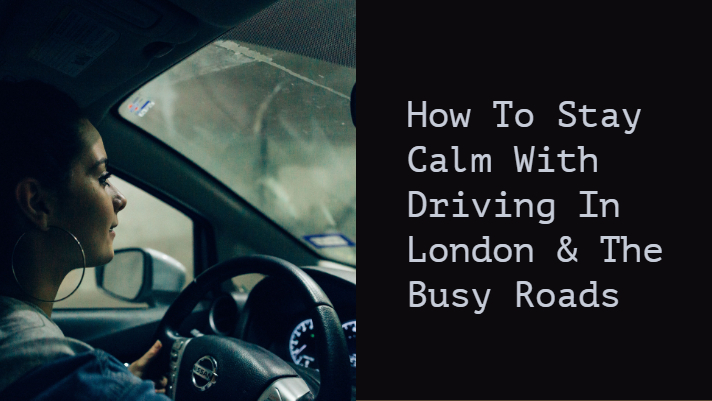 You may find other strategies useful for keeping calm when negotiating London driving; for example, plan your route in advance, and make sure that you are on top of any alternative routes in case of heavy traffic or roadworks. Leave plenty of time for your journey so that you don’t make mistakes through stress, and make sure you have your mobile phone with you (but don’t use it whilst driving!) so that you can notify people at your destination of any delays. Driving in London doesn’t have to be impossible – arrange those lessons now!